This is the story of the decline and break-up of a marriage as well as the consequences for close family and friends. 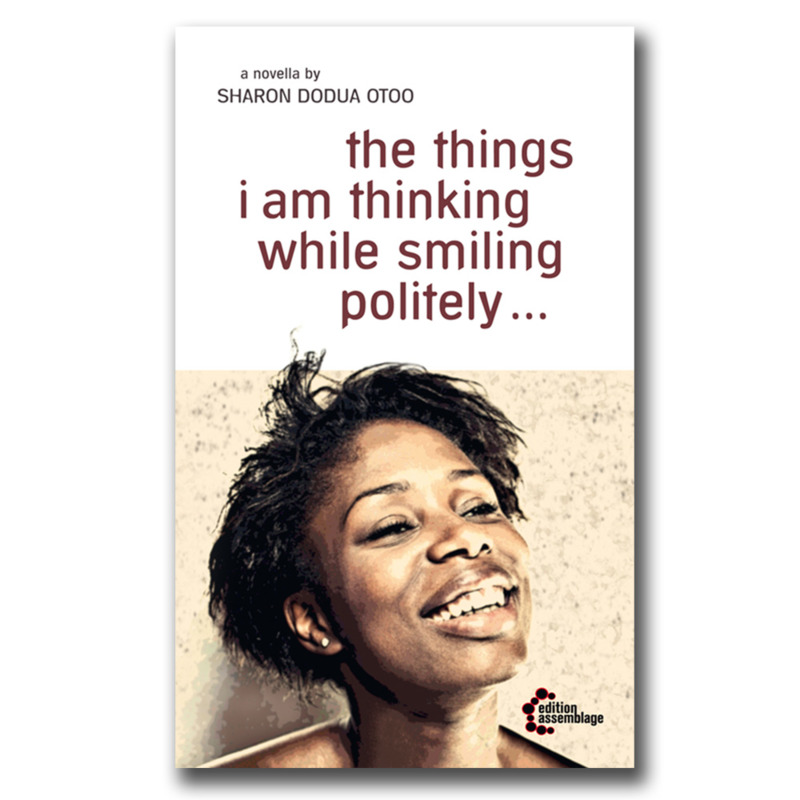 the things i am thinking while smiling politely is the story of the decline and break-up of a marriage as well as the consequences for close family and friends. Ama loses her sista, Kareem learns to mistrust a good friend, the siblings Ash and Beth have to fight for their mother's affection, Till and his wife drift away from each other... Sensitively, honestly and with a special sense of humour, the woman with all these roles describes how she rediscovers herself - and not only in the positive sense. Sharon Dodua Otoo is a Black British mother, activist, author and editor of the book series 'Witnessed'. A translation of 'The Circle and Square Story' was published recently as 'Die Geschichte vom Kreis und Viereck' in (K)Erben des Kolonialismus im Wissenschaftsarchiv deutsche Sprache, edited by Susan Arndt und Nadja Ofuatey-Alazard (UNRAST Verlag, 2011). She lives, laughs and works in Berlin. 'the things i am thinking while smiling politely' was her first novella.